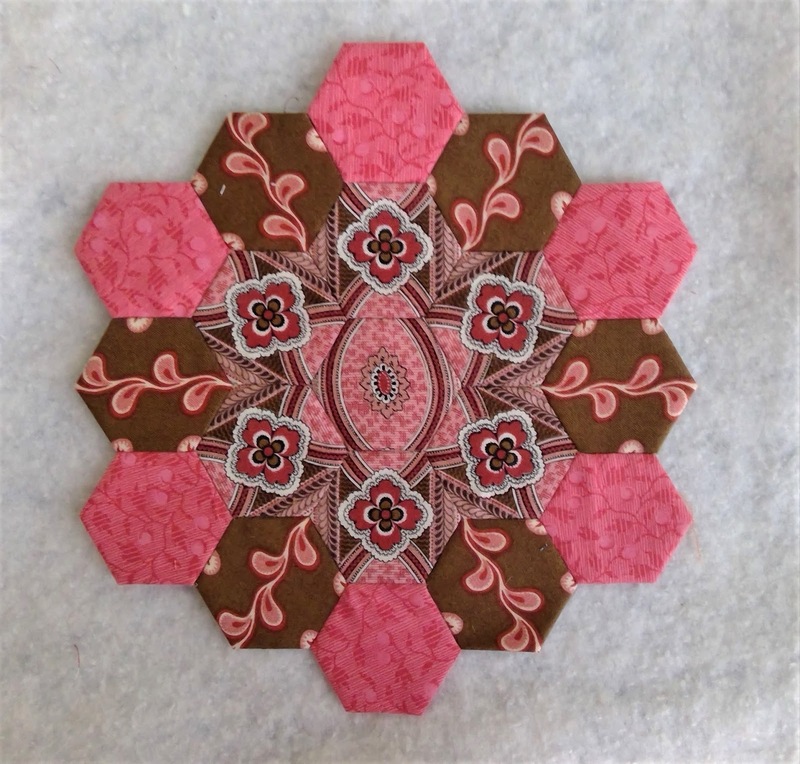 Your "blooming hexagons" are drop-dead gorgeous. I have always thought you are a master of the fussy-cut! I almost expect to be able to twist the barrel of the kaleidoscope and watch those beautiful images shift and change. Thanks for the heads-up on the license. Haven't been through that, so it is good to know. I had not heard anything about the new driver's license for flying I rarely fly but should be prepared of course - thanks for mentioning this - mine was issued last year and no mention was made of this and mine is good for 8 years! now I have to do it all over again. 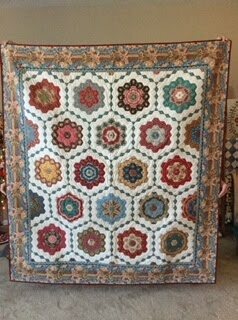 love all your hexagons - I never tire of them. Lucky me!! 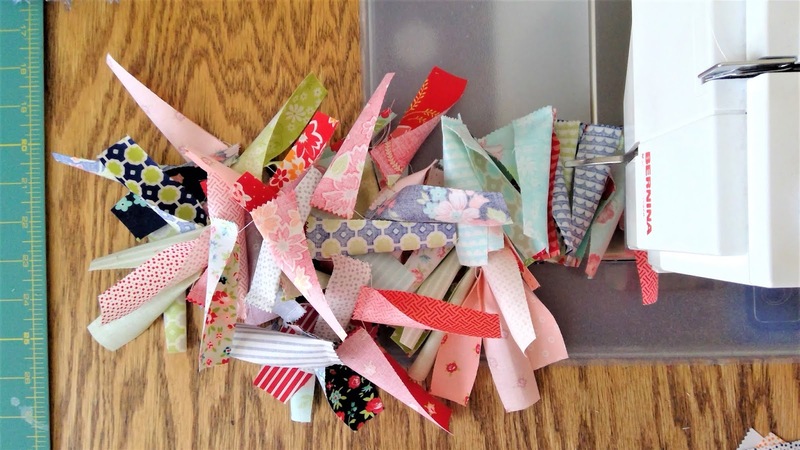 I renewed mine in October and it has the star. I though I was set when got mine in September, but now we (in California) are being told they're no good due to a paperwork glitch. I'm now applying to renew my long defunct passport. 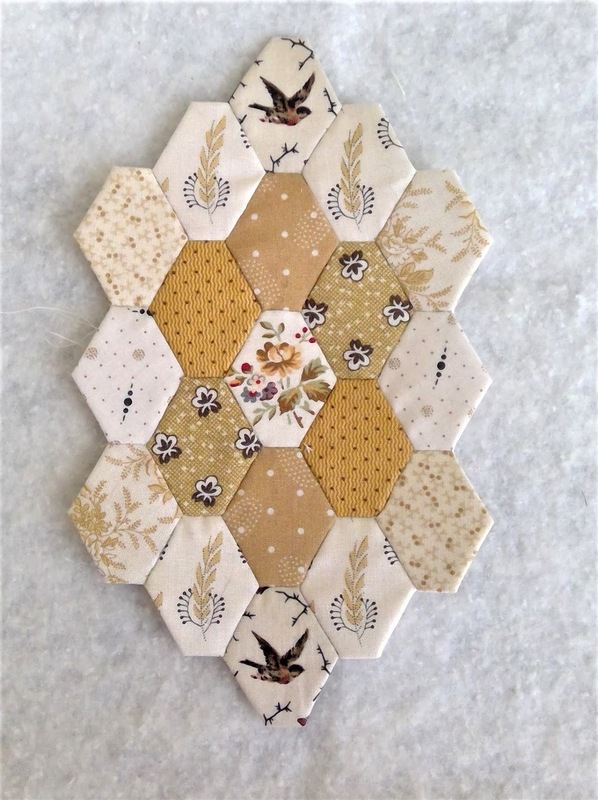 You are so good at fussy cutting the hexies, just beautiful!!! I already renewed my license last year. I went in months earlier than necessary just in case there were any problems but fortunately I nailed everything right the first time. I think the clerk was so happy she could have hugged me! I'm sure she's been chewed out many times already. I don't mind seeing hexies each post, that's what you do. 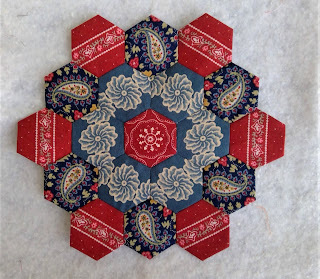 When people view my blog, they see a lot of hand quilting on the same quilt. Have a great week! Oh my goodness! 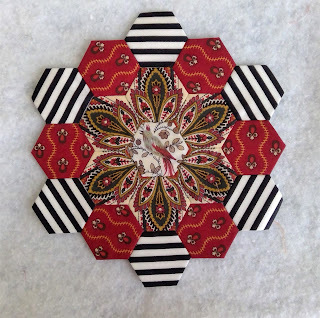 I can't get over how lovely your hexies are--wonderful!!! 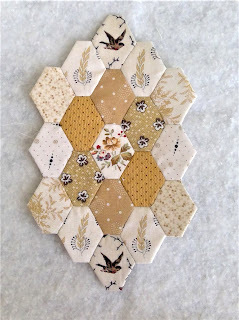 I never get tired of looking at your gorgeous fussy cut hexagons!!!! Thank you LuAnn for the FYI - have been following this here in Wisconsin as I have a European flight later this year. And No! 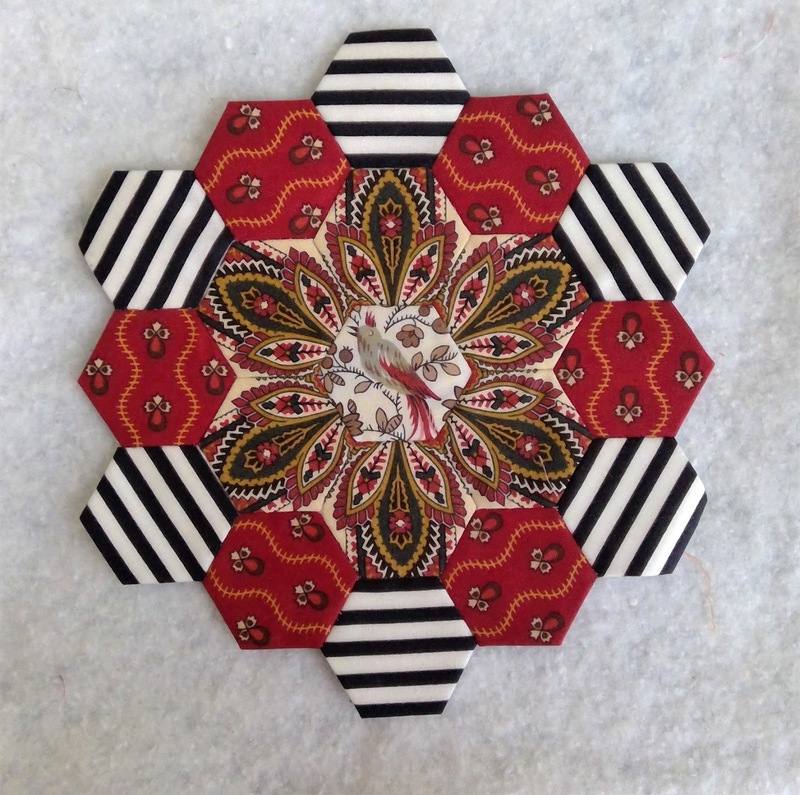 Absolutely never get tired of seeing your work with hexies...I always think of your beauties first. 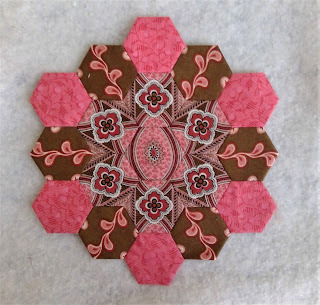 That pink/brown Di and Jo combo is top notch! Love the Road 66 too.